Photo courtesty of Sauci Creative. All rights reserved. Okay, we are trying to figure out why people have forgotten how important invitations are! Invitations are timeless pieces of stationery and they continue to serve the same purpose as they did ages ago. Invitations set the standard of any event, especially a wedding. Notwithstanding the save the date, an invitation is the first glimpse that your guests will get at the atmosphere and aura of your event. If your invitation doesn’t speak volumes, then your guests will not expect your event to supersede its predecessor. 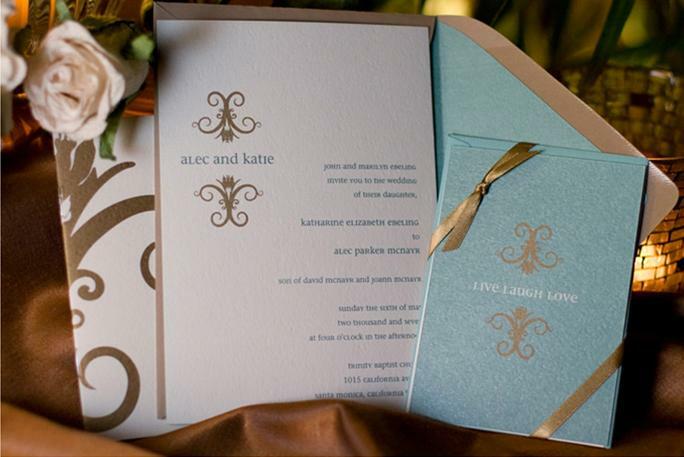 If your event is a royal ball, then your invitation must resonate with elegance and splendor. If your event is a square dancing showcase, then it is best not to mislead your guests with an overly fancy invitation. In other words, provide your guests with a clear picture of the event. Be unique! Be grand! Be creative! Most of all, be INVITING! ← To Customize or Not to Customize? That is the Question.